We believe so very strongly that our children learn best through the practice and exploration inherent in play. We know that research supports young children’s need to informally experiment with ideas and new knowledge as they make connections with their current perspectives. 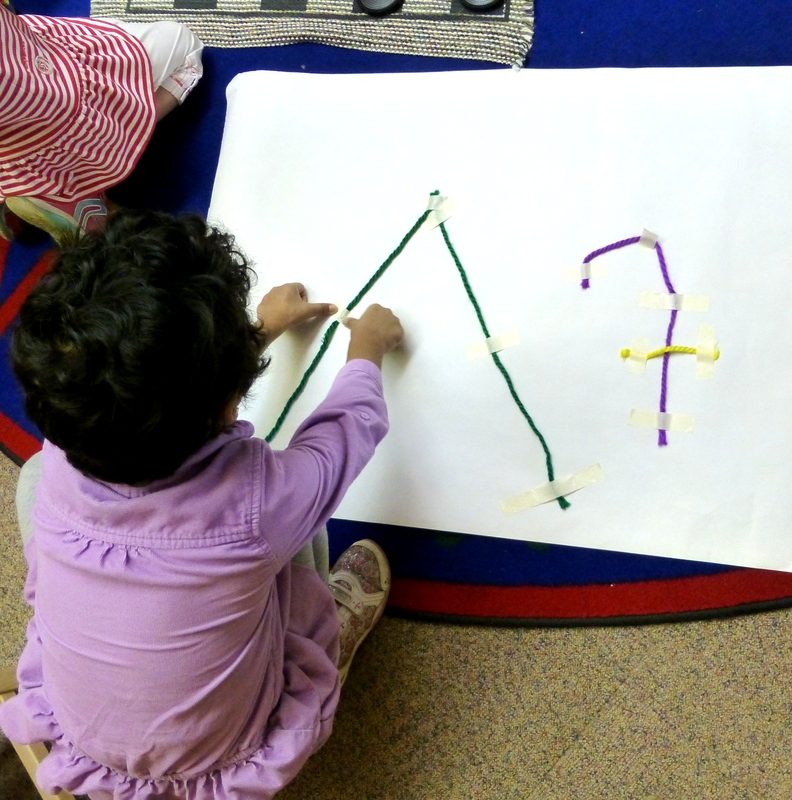 This view coats everything we plan and do in our Pre-K program. Still we are pleasantly surprised each time we see it at work. Below, you will find three separate instances of groups or individuals creating their own play centered around symbols of the alphabet. Each is focusing on a different aspect such as form, function, and linear pattern. All of these activities were initiated and sustained without teacher intervention. How lucky we are to see such involvement and cognitive development every day. 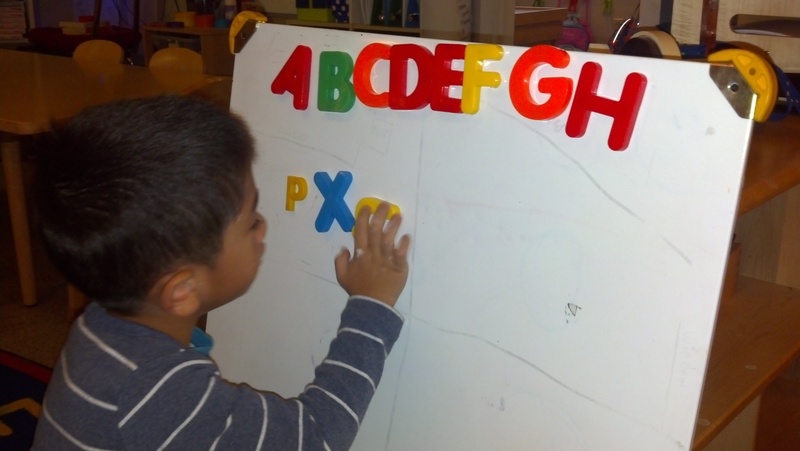 Singing the alphabet while matching magnet letters.